Call it a bracelet, and it'll smash its beer bottle and suggest "taking this outside." Various vegan straps and cords with a raw brass clasp. One size fits all. Wrap until desired. The original Brace Yourself (now called The Brace Yourself 1) has been so popular that we decided to make two new versions (creatively named 2 and 3). 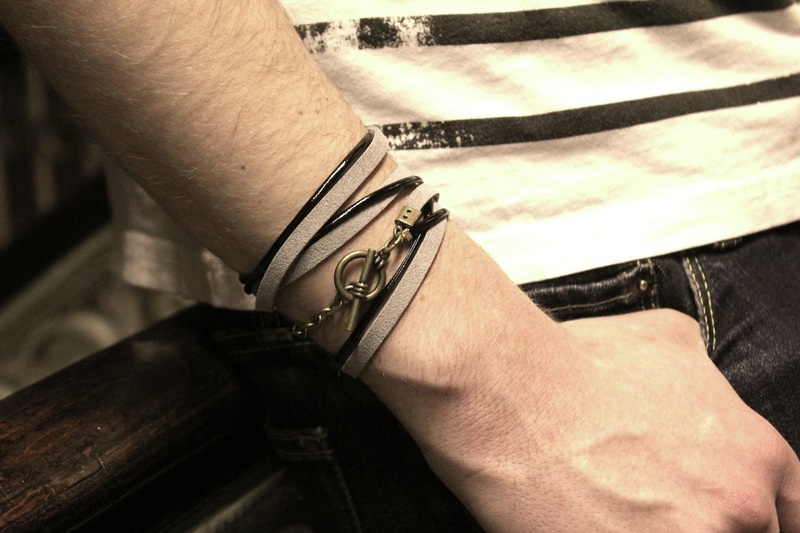 Less 80's gym class and more gladiatorial contest, these are not your typical wrist pieces. 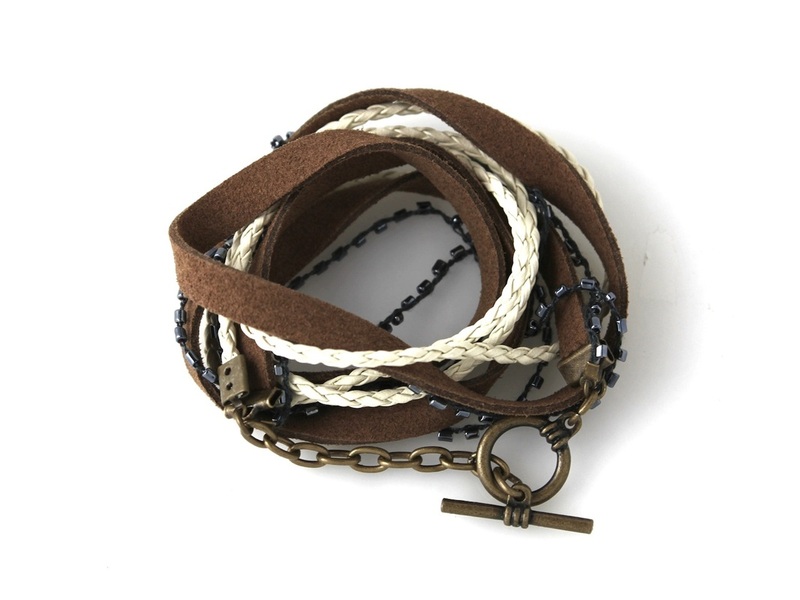 Each is comprised of a combination of gray or brown faux suede strap, knotted ivory faux leather, shined black accent wire, charcoal bead cord, and raw brass chain and hook. 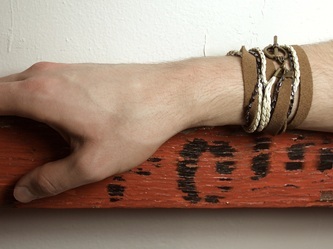 (See pictures.) Best of all, each brace fits and places however you need it to. Just wrap until you find a good look and fit for your wrist or forearm. I'll admit, I wasn't sure at first if the Brace Yourself would work or not. But then I tried it on, and all doubts immediately vanished. It looks good – and we've reached for the same with 2 and 3. 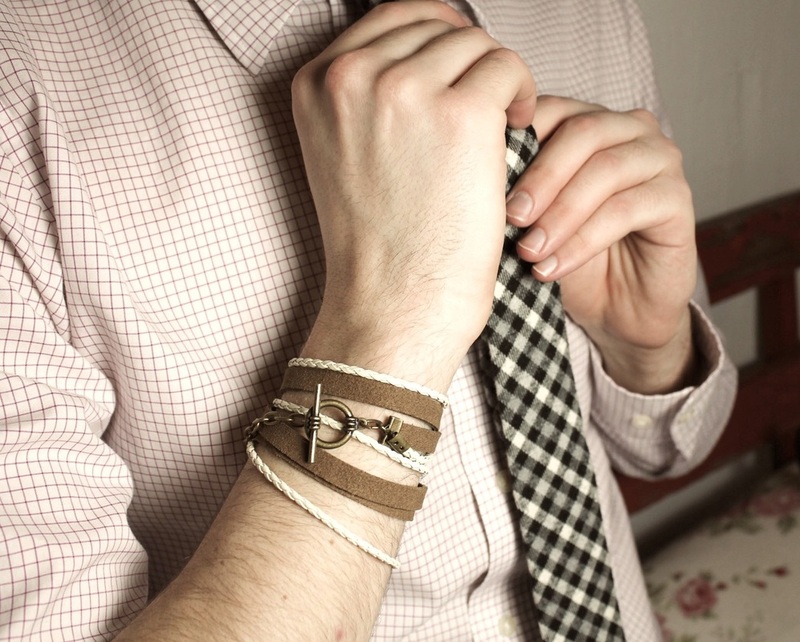 I highly recommend any of them for the confident man who likes to break away from the ordinary, or, you know, anyone who just wants to look great. 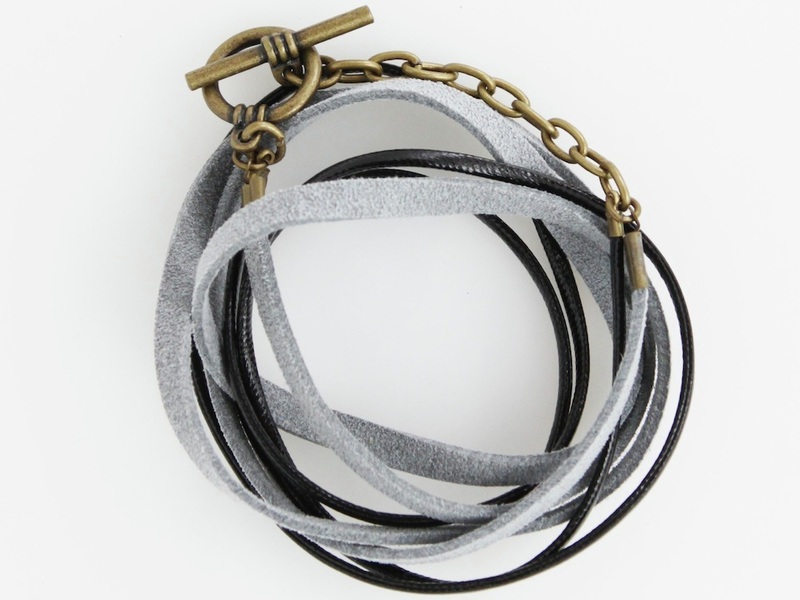 Medium-width grey faux suede strap, thin black accent wire, brass clasp. 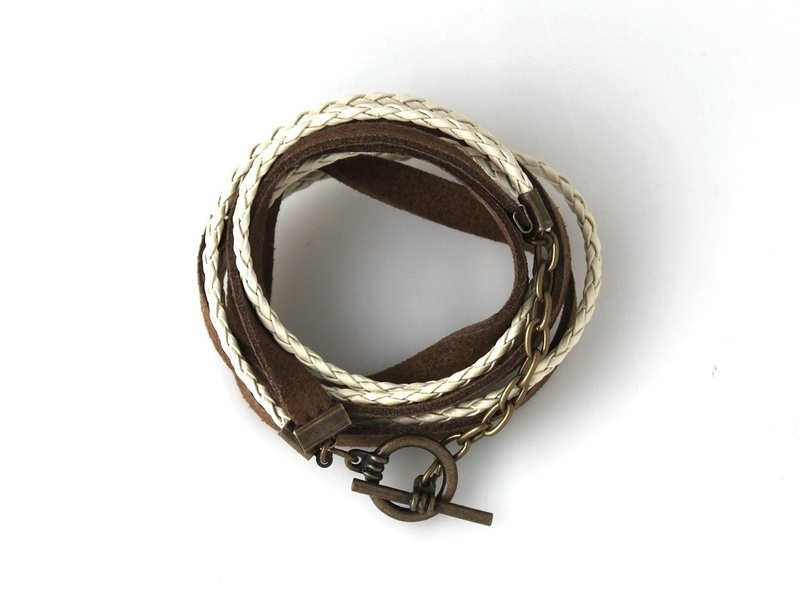 Thick brown faux suede strap, knotted ivory faux leather cord, brass clasp. Charcoal-bead accent cord in addition to everything from the Brace Yourself 2. Sorry! These items are no longer available.